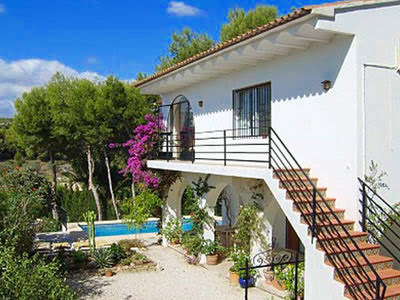 Erica Rose Holiday Rentals is a well established holiday rental company based in Calpe, Spain. We offer villa & apartment rental with clear pricing, no hidden extras & local friendly service. 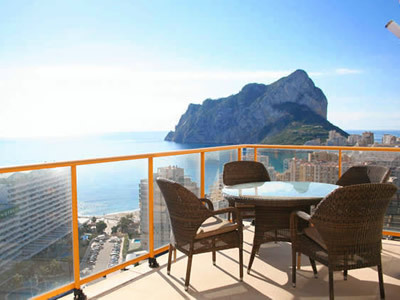 We offer a wide variety of both apartments and villas to rent in the Calpe area. Working closely with the owners, we ensure your rental property will be well maintained and of the highest standard. Looking to rent a villa in Calpe for your holiday in Spain? We have a wide range of villas to rent in Calpe and the surrounding area, many with private pools, landscaped gardens and spacious patio areas. 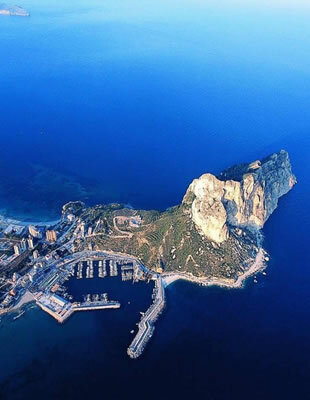 We offer well furnished, high quality apartments in the Calpe area, many with satellite TV, air conditioning, dishwasher, great pools, sea views and landscaped gardens - all at affordable prices. Are you looking to rent out your apartment or villa in Calpe? Erica Rose Holiday Lettings offer an excellent level of service and take pride in offering a very personal touch to our client's properties. Why Choose Erica Rose Holiday Rentals? 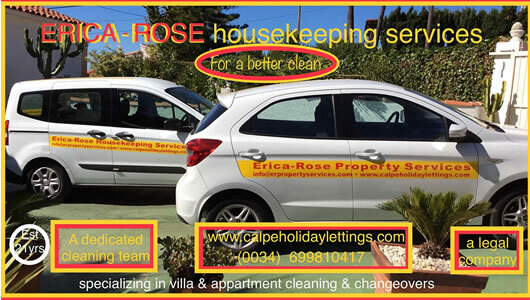 Based in Calpe on the glorious Costa Blanca in Spain, Erica Rose Holiday Rentals & Housekeeping Services are your No 1 choice for property management & holiday rentals in Calpe. Your Holiday is the most important part of the year, it is our aim to make sure your stay at an Erica Rose property is perfect so we can welcome you back again, year after year. Enjoy browsing our selection of properties, pick your favourite and contact us with your requirements. 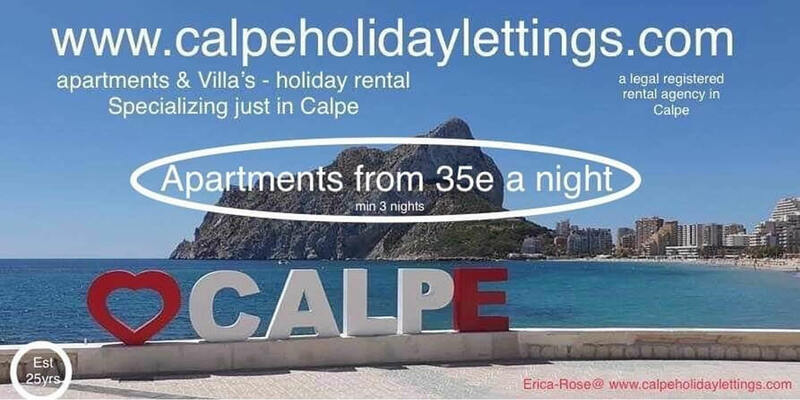 Erica Rose Holiday Rentals and Housekeeping Services are based in Calpe and offer you a wide variety of both apartments and villas to rent in the Calpe area. We work very closely with all of our owners to ensure that the properties are well maintained and of the highest standard for our clients. We pride ourselves on cleanliness and are always working towards making our accommodations as welcoming as possible for you. We understand peoples needs when it comes to booking accommodation and everything that we do is based on what we know our owners & clients want and need.